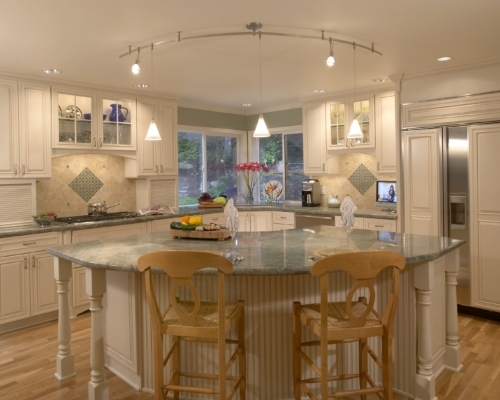 Fred and Nancy needed space for their growing family in their Woodinville home. 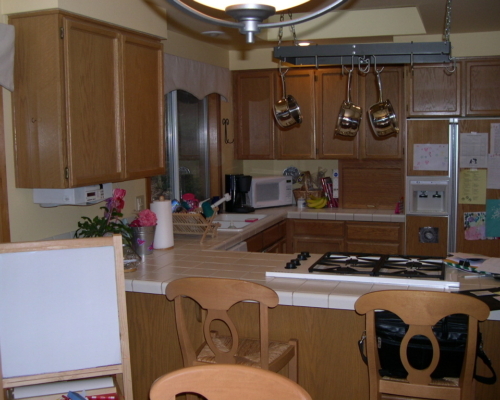 Not only was the kitchen dated and the appliances failing, but they needed a nice, comfortable space to gather at the end of the day and connect with their children. 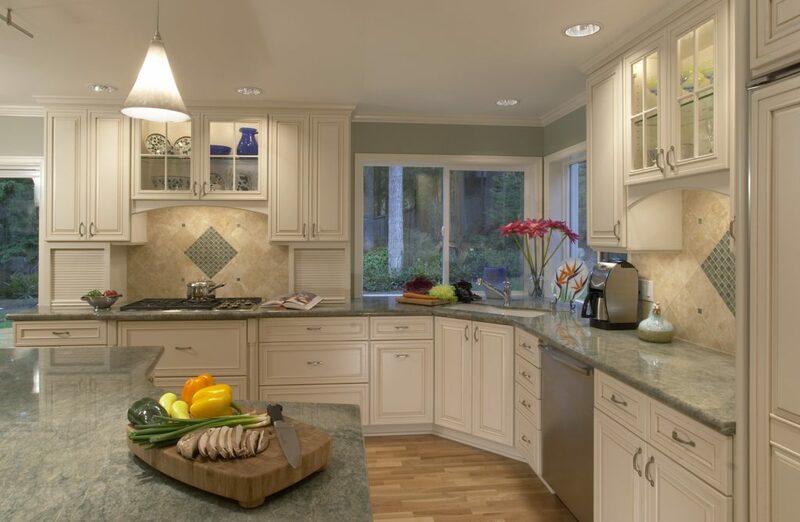 After looking around for another home in their neighborhood and not having much luck, Fred was referred to McAdams Remodeling & Design with the hope that the space they needed could be created in their existing home in the form of a kitchen renovation. 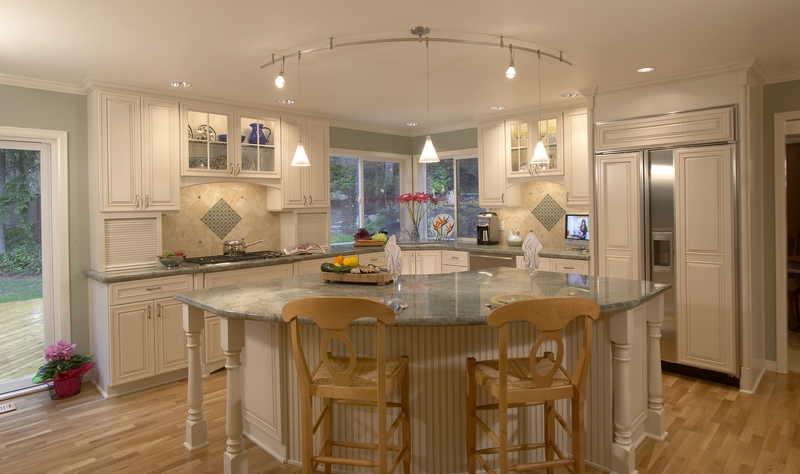 Designer Mindi Person created an addition that not only accommodates the new kitchen renovation, but provided an office for Fred and a laundry room for Nancy on the floor above- all major wishlist items. 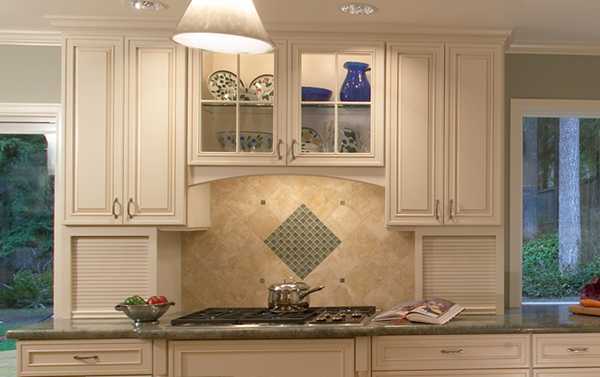 Then cabinet designer Clint Noyes of KC Fine Cabinetry recommended a subtle glazing on the white cabinets to capture the French Country feel the clients desired. 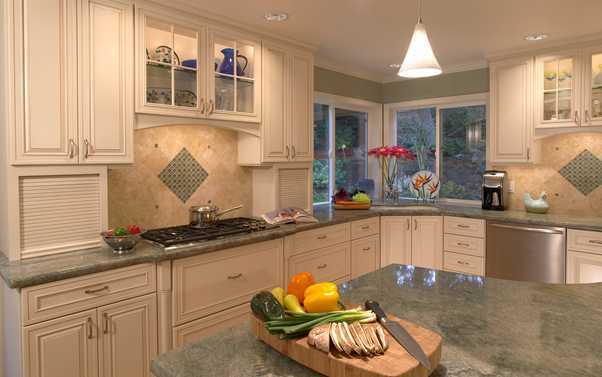 Nancy loves greens and selected a soft green granite and complementary tile for the medallions in the backsplash. From her corner window, she can keep an eye on the kids and the dogs playing in the back yard. 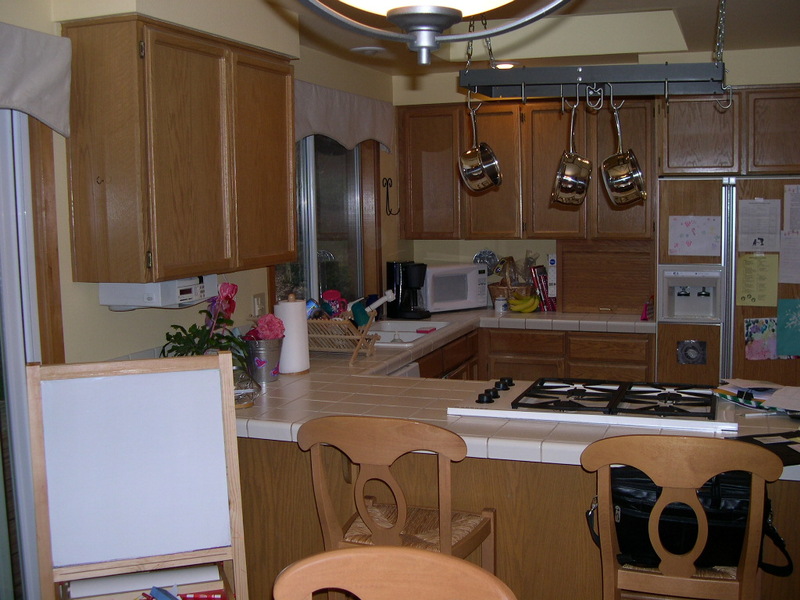 It is a warm and comfortable space for the whole family to enjoy.